World class ski touring terrain! 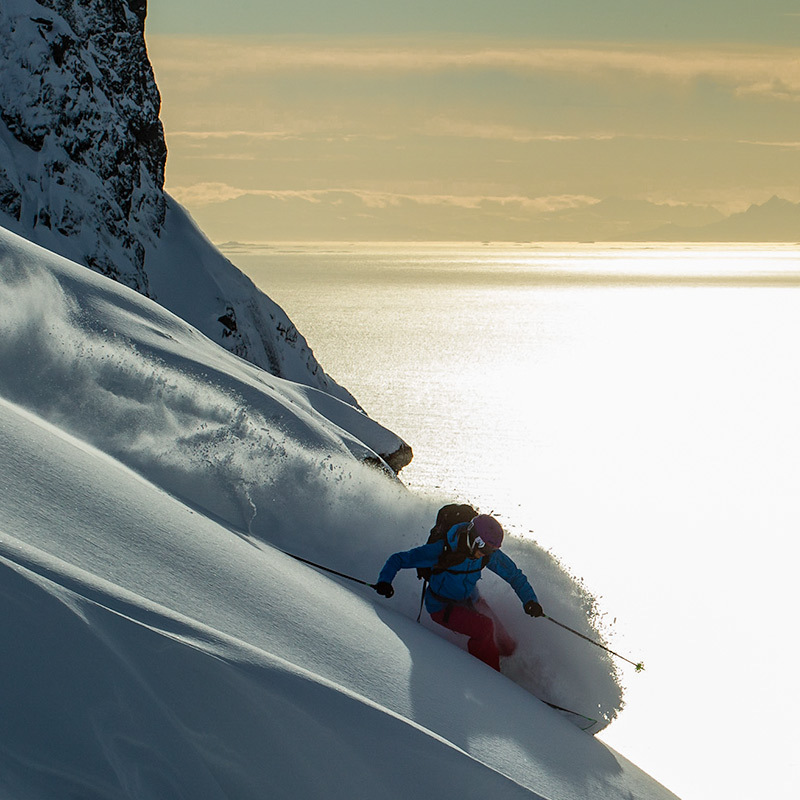 Lofoten Ski Lodge is a hidden gem at the heart of all the good skiing on the islands. We offer active people a unique combination of top quality food, accommodation in renovated cabins and ski guiding with certified mountain guides from Northern Alpine Guides. 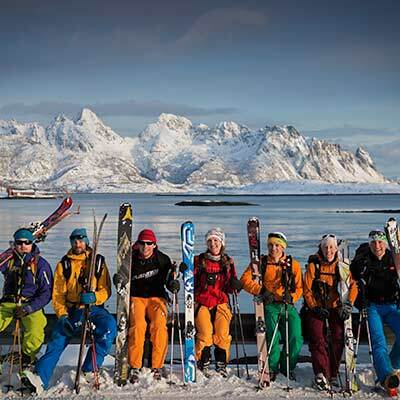 We offer private, open group and customized skiing adventures based out of the Lofoten Ski Lodge in Northern, Norway. We host a variation of retreats, camps and events with health and activity in mind. 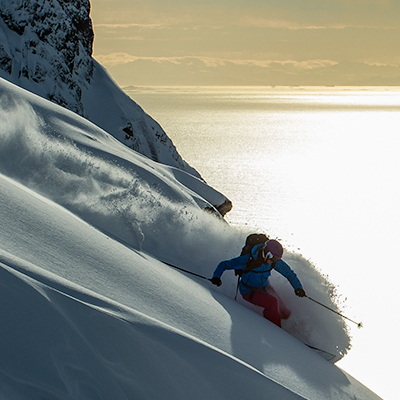 We provide everything you need for the ultimate Lofoten Ski Vacation. We make sure your well fed with great fresh food and as much as possible right from this island. 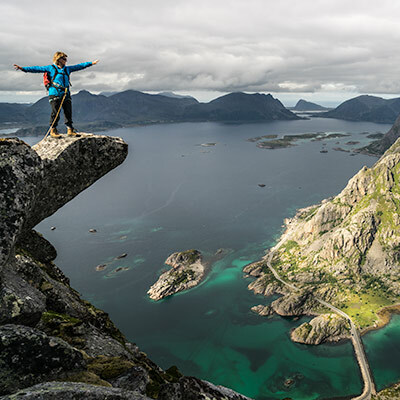 We offer fun and healthy activities, great facilities and tailor made programs and events in Lofoten. 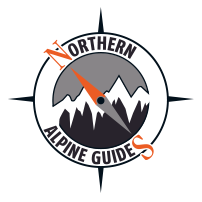 Northern Alpine Guides offer guiding and instructional courses that are tailor made to your level and abilities. Here is a selection of photos and films, enjoy! 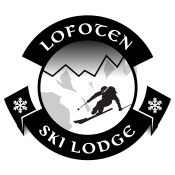 Lofoten Ski Lodge is run by the owners of Northern Alpine Guides, Maren and Seth. Together with a great crew of professional guides and passionate skiers, surfers and climbers we host people from all over the world. With many years of experience in the outdoor industry we found our perfect match with Lisa who is managing Nyvågar. This historical place was one of the biggest fishing villages in the early 1800 and many fishermen from all over Norway would stay here during the fishing season. The traditional fishing boats are now changed with powder skis and today we are hunting soft snow and amazing views. We have a personal interest in good healthy food and lifestyle, beer and wine, powder snow and in sharing our love for the nature and Lofoten. All our guides and staff are hand picked and reflect our standard of professionalism. We also hand pick the objects and activities we offer, and we are passionate about human powered adventures. You will meet a friendly and inspiring staff and other guests with plenty of stories, adventure spirits and competence. Together we invite you to a memorable and fun ski vacation! 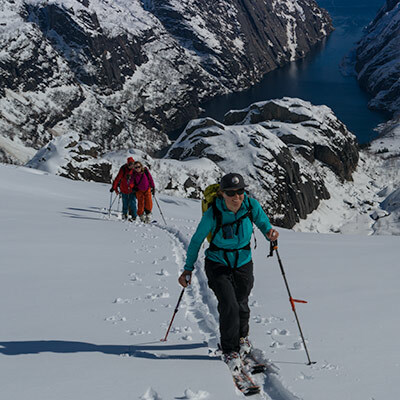 Northern Alpine Guides is the professional guide service based in Lofoten, Norway. 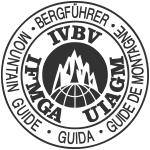 We offer climbing guiding, ski guiding, and courses with IFMGA certified guides. 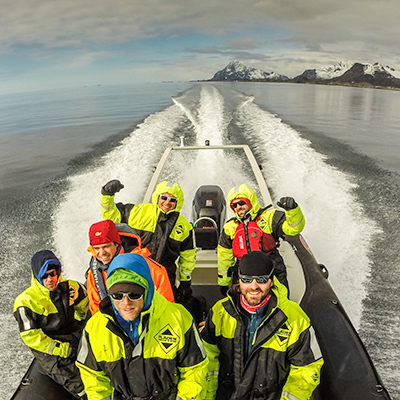 We pride ourself in working with talented certified guides and partners who are passionate about their job. Choose your favorite trip and let us organize your adventure, event or expedition for you and your friends. Join us for the adventure of a lifetime! 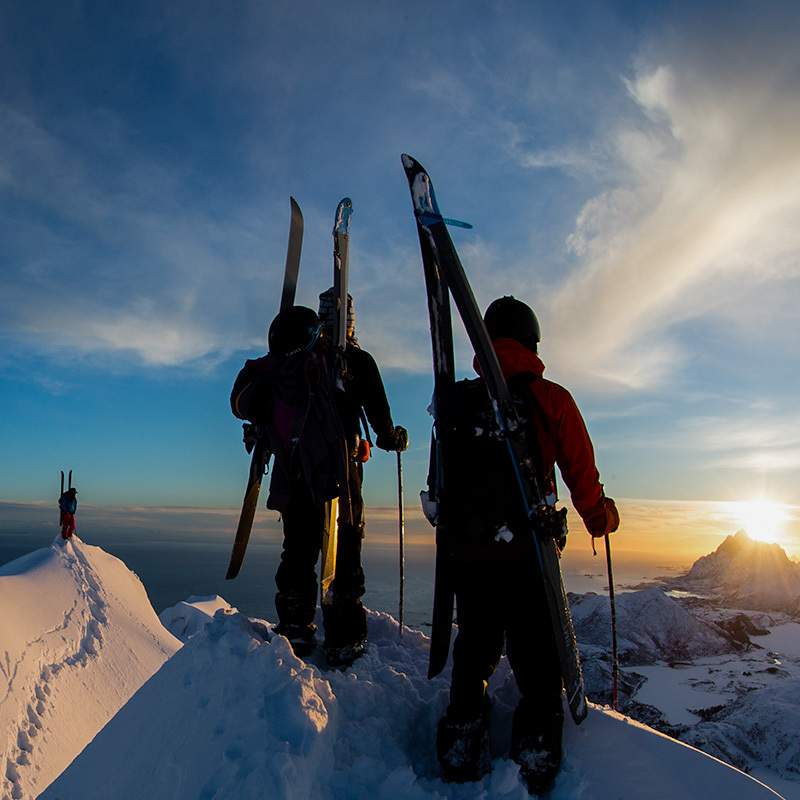 Lofoten Ski Lodge is developed and run by Northern Alpine Guides. "More than anything else, people make a place special! The people that run this lodge, the people that help make these once in a lifetime moments happen, they made our stay here more than incredible; they helped create moments that I will cherish for as long as I am capable of remembering. So to everyone involved in this ultra- special place: Thank you! I hope to share many more moments with you in the near, but unforeseeable future. Lots of love to all, and thank you!" "It`s rare when your fantasies come true. 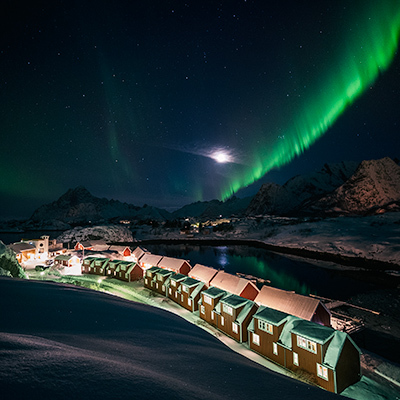 The Lofoten Islands and this Ski Lodge really are a fantasy. I can`t wait to come back for more skiing, amazing sunrises, good food, pilsners and Norwegian stories; Thanks for making me feel like I´m at home!!!" 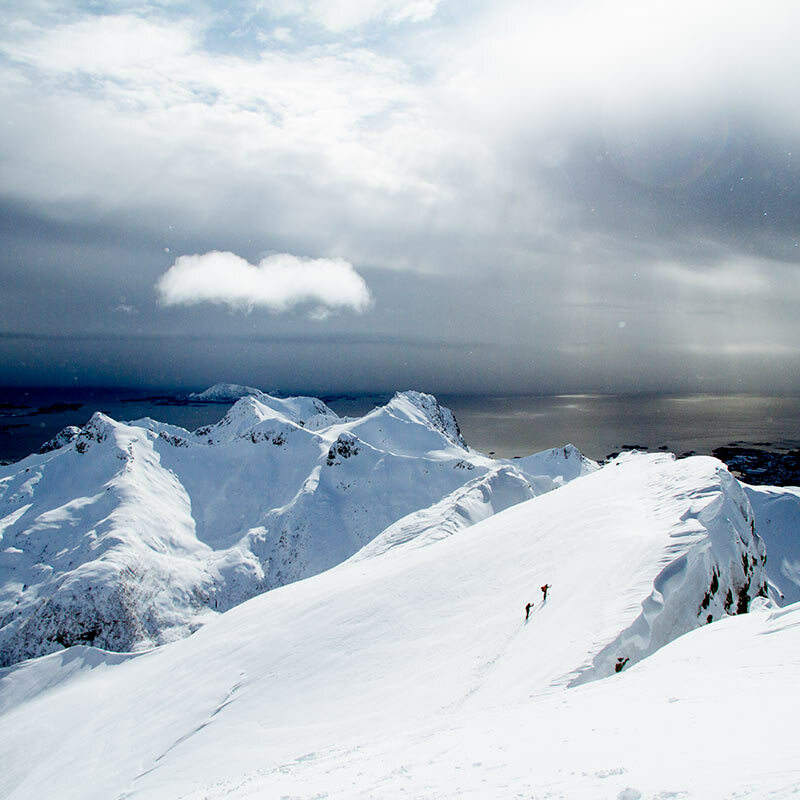 "Spending a week in the Lofoten Ski Lodge was a great experience. The chilled out atmosphere made us feel at home immediately. The incredible food and hospitality, and of course our guide bringing ut to remote places with excellent snow every day. Great weather - great people - great snow Take care - keep on going - see you again"
"To the team that made our stay unique and amazing! Thanks so much for all your love and making us feel like home. What a wonderful, peaceful place… we`ll be back"
"Thanks for such an awesome time here! Thanks to the guides for the great outdoor time we had! Thanks to staff for the excellent food!" "Thank you for the incredible stay at the lodge. Cabins were perfect, eating was top-notch & guiding on ski tours was great fun; thanks Anders and Seth. We even learn how to use ice axe + crampons due to the conditions. Thank you Maren & Seth for making our one week break a timeless oasis." 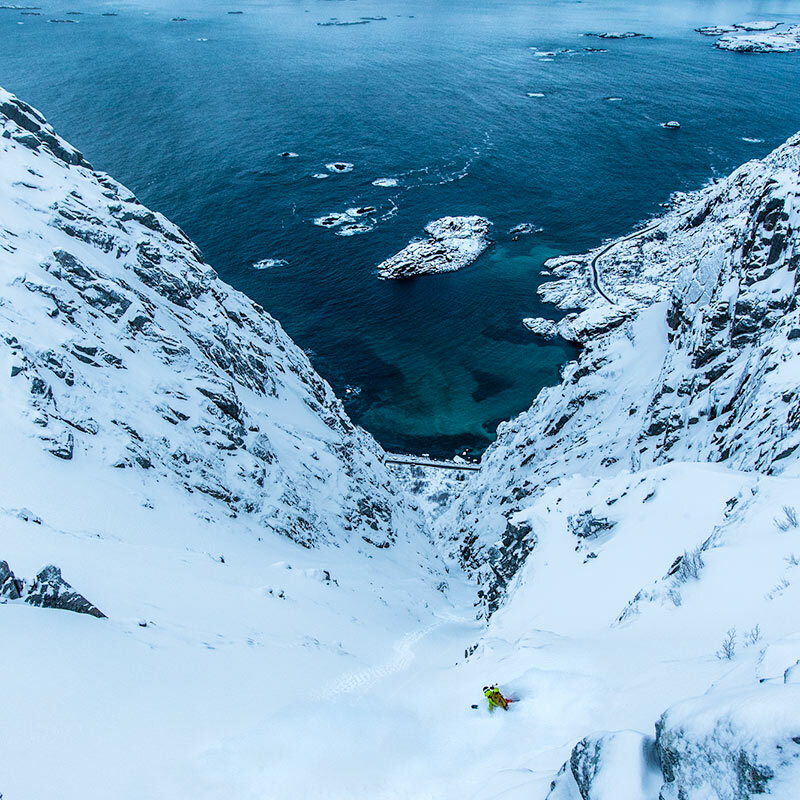 There are essentially 3 options to travel efficiently to the Lofoten Ski Lodge. All transportation to our area comes into the town Svolvær which is 6,5 km from the our Lodge. Below we have all the links you need to travel here when in Norway. Make sure to check the flights schedule before you decide the dates for arrival and departure. Fly from Oslo to Harstad (EVE). Approx. 1,5 hours flight. Fly directly Oslo (OSL) to Svolvaer (SJV). All these flights go through Bodø. This is the smoothest and nicest way to travel to Lofoten if you’re willing to spend a little extra money. If you want more options it could also be an idea to check the flight from Oslo to Leknes (LKN), and then drive for an hour to get to the Lodge. or you can take the coastal steamer «Hurtigruten». Hurtigbåten leaves regularly at 5pm and the Hurtigruten leaves at 3pm. At the Airports Harstad/Narvik – Evenes (EVE) and Svolvaer (SJV) we have a good discount agreement on Hertz Car Rental. Let them know that you are staying at the Lofoten Ski Lodge, and they will provide a very good deal for you! It is worth mentioning that the Hurtigruten travel along the coast of Norway, all the way from Bergen (south/west of Norway) to Kirkenes (north/east of Norway). If you have a car in Bodø and want to bring it to Lofoten, it is possible to take the ferry from Bodø – Moskenes, and then drive approx 2,5 hours through all of the Lofoten Islands and get to the Lodge from the west. The cabins are right at the water front. They are cozy, spacious and each has two double bedrooms. All cabins has two floors. We still have a few openings for an Easter Escape! Just as a special offer as in the last post my friend😂😉 Only 1485 NOK pp. / day for full board accommodation*. Info@lofotenskilodge.com for requests or bookings. 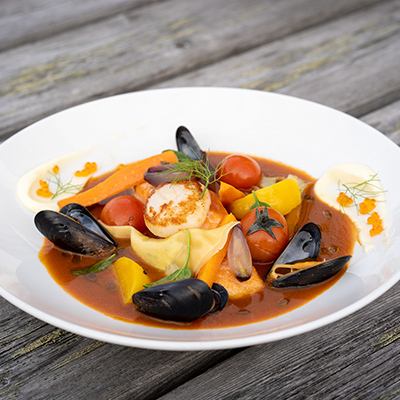 * 2-course dinner with sea views every day. * Sauna and Jacuzzi included in price! 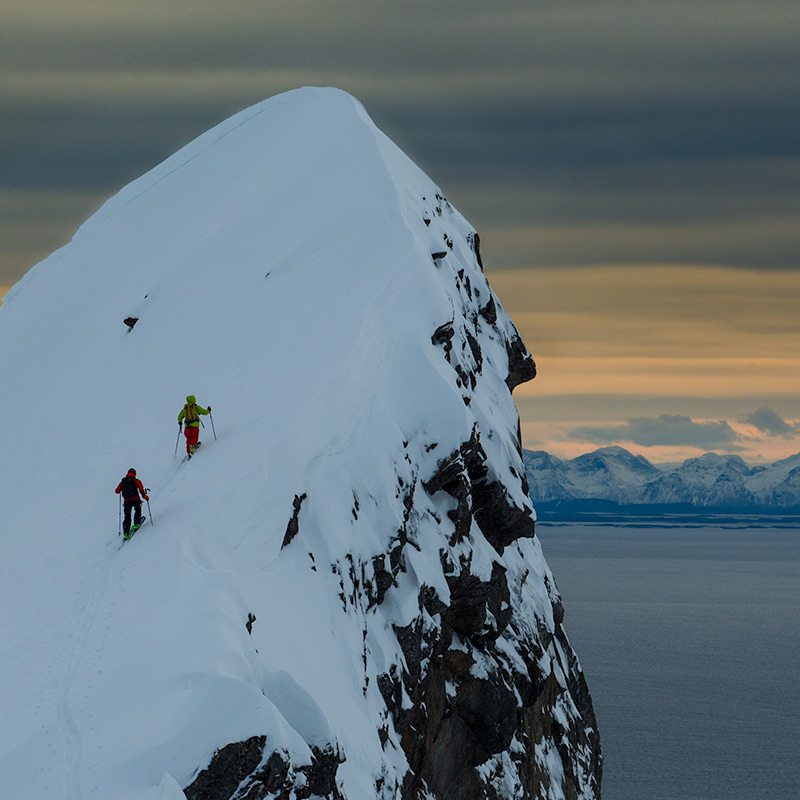 Spring in the arctic is a special time of the year with long days and options of skiing, surfing and climbing. Lofoten Ski Lodge is at Lofoten Ski Lodge. We have some openings for an Easter Escape! Only 1485 NOK pp. / day for full board accommodation.